SCS Software's blog: What a weekend! After updating both American Truck Simulator and Euro Truck Simulator 2 to version 1.31 earlier this week, finally we had an opening for another World of Trucks event. We came up with the idea to promote and celebrate the kick off of our "SCS on the road" series of trips for the 2018 season with an accompanying event. As you may remember from last year and from our recent blog posts, we have partnered with the organizers of the FIA European Truck Racing Championship, and will be present at all their races with our games and our high tech gear, entertaining the visitors and providing an opportunity for our fans to meet us in person. The first round of races is taking place in Italy the next Saturday and Sunday, so it was perfect timing to launch our World of Trucks event a week earlier, and so we have done just that with our Start your Engines blog announcement. We were hoping for solid interest from the community, after all, the rewards for completing the event are quite cool. 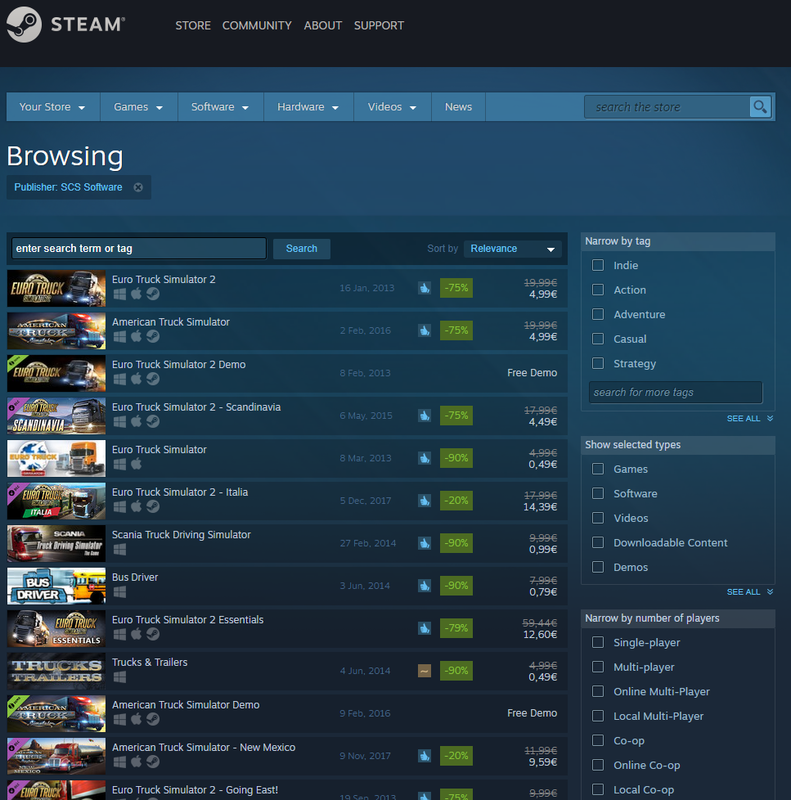 To support the event and engage our fans even more, we have also discounted our our games and DLC on Steam - yeah, you should definitely consider checking out the list of discounted SCS stuff. 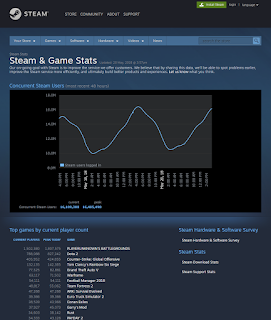 We were really happy to see the player numbers going up a lot over the weekend. 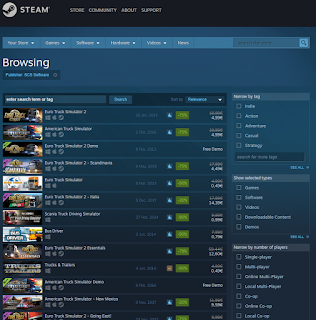 For a brief moment, Euro Truck Simulator 2 has once again managed to peek into Top 10 games on Steam's Top games by player count list, which is a huge benchmark of our fan community's fantastic engagement. We have felt massive contribution from Truckers.fm and TruckersMP communities. Big kudos belong to the team at Truckers.fm radio. They came up with their #WOTRweekend hashtag campaign on Twitter, and you should definitely check it out, as it leads to a huge amount of fantastic screenshots of Euro Truck Simulator 2 from happy players enjoying the event. 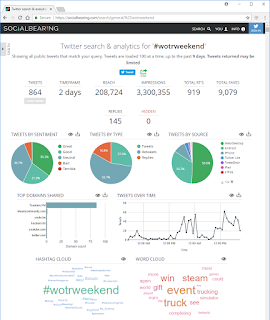 There is a way to measure the engagement actually and present the exact stats, and it may be worth showing on a screen grab. 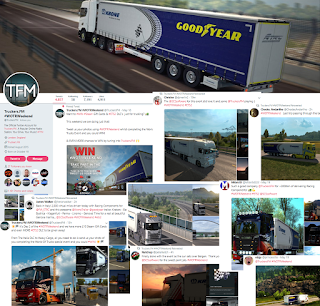 As of now, the buzz of the World of Trucks event as relayed by Truckers.FM and their twitter has accumulated over 3 million impressions, reaching over 200,000 people! Now that's some help! Thanks! Meanwhile, we have been enjoying a very special weekend in our office. A couple of weeks ago, we have announced SCS Software's participation in the 4th edition of Open House Prague festival, inviting our fans to visit our office. This was a unique chance to see where our games are made and talk to members of the team. A lot of people have taken advantage of the opportunity, mostly locals of course, but we were happy to host a fan who decided to fly all the way from Moscow and back to meet us, and some more visitors from nearby countries, including over a dozen fans from Germany. All in all, a super exciting weekend! We have been providing near-real-time coverage on SCS Software's Twitter and Instagram channels, as we usually do during multi-days events, so if you are interested in following our activities beyond just game updates and releases, keep an eye on them in the future. The "Start your Engines" event will continue for several more weeks, there is still plenty of time to complete it. Good news for fans of American Truck Simulator - the next cool event will be focused solely on their game!